The Basic Worksite Traffic Management & Traffic Control (BWTM & TC) course provides students with the theory and practical knowledge to install and maintain traffic management signs and devices at worksites and events, as well as conduct on-site manual traffic control using a Stop-Slow bat. 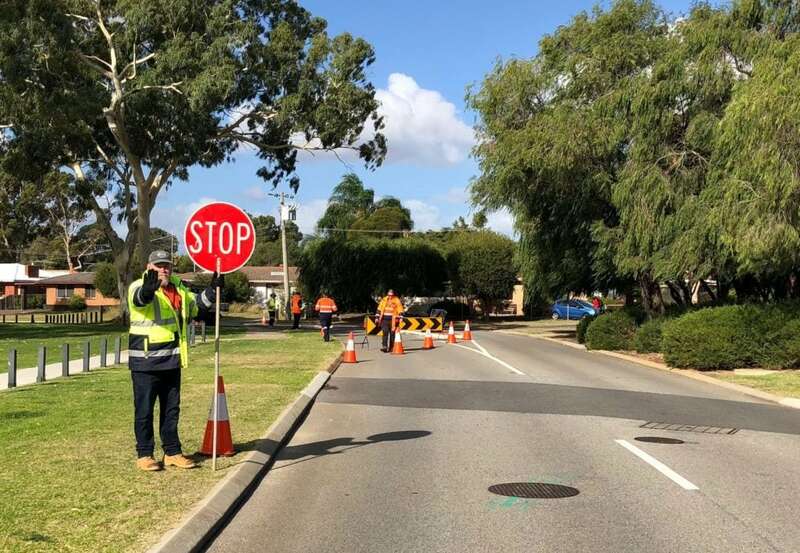 The BWTM and TC Course is the industry standard course required to work for a traffic management company in W.A. This course includes mandatory practical training and assessments. Warp Training Australia conducts courses in Basic Worksite Traffic Management & Traffic Control (BWTM & TC) each Monday (theory only) Tuesday (theory & simulated practical) and Wednesday (practical) except public holidays. The Construction Training Fund (CTF) provides a subsidy of $455.00 for eligible students. Currently hold or have held a valid drivers license recognised by Department of Transport W.A. Tea, Coffee and morning tea will be provided. There will be a fridge available to keep your lunch cold and a microwave to heat up up. There are also multiple fast food stores close to the premises. To secure your spot in any of our courses, you are required to enrol online and complete payment for the course. Once this is received, your spot in the course will be confirmed and you will receive a booking confirmation.